CellphTech is a leader in mobile phone repair service , Our team of skilled experienced technicians will fix your mobile phone problems in no time .Most repairs are made on the spot while you waiting or can take a couple of days.We offer walk in repairs or convenient mail repairs. 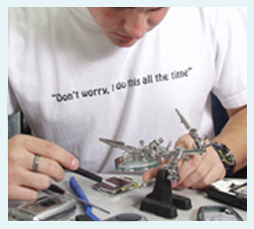 We are committed to fast, high-quality, cost-effective cell phone repairs and services and our mission is to exceed your expectations in repairing your mobile phone. If you are having problems with your laptop, one of our technicians will evaluate and determine the cause of the problem. We offer laptop notebook repair services for almost all laptops. Our team of experienced high skilled technicians will also help you with your initial laptop set up using an aircard or handset to tether and connect to the Internet. We fix all Network connectivity issues including Wi-Fi and Bluetooth connections.